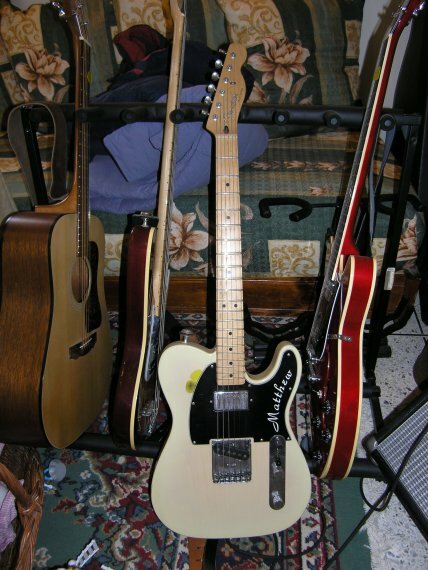 Included here: Guild D4 acoustic, Washburn Force 4 bass, Fender Telecaster, and a Squier Starfire IV. The Tele is my main axe. Coming soon, a photo of my custom amp (that I built…). This entry was posted in Guitar, Ubuntu Planet. Bookmark the permalink. Nice! You should get some pics up on wetriffs.com/ (NSFW, but extremely funny). You have a beautiful site, thanks for sharing the guitar pics! !